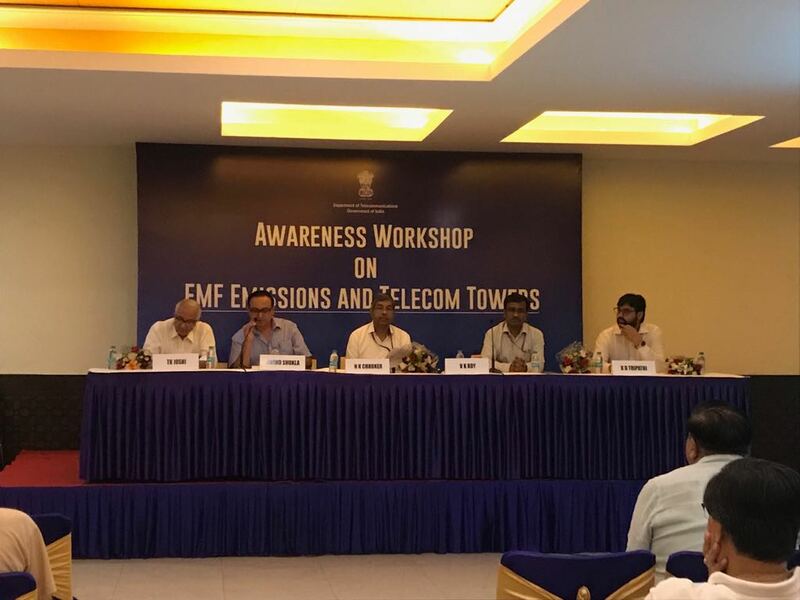 Under, a nationwide public outreach campaign to dispel myths about EMF radiation from mobile towers, an awareness programme was recently organised by the Department of Telecommunications (DoT), Ministry of Communications on Electromagnetic Field (EMF) Emissions and Mobile Towers in Noida. Displaying TARANG SANCHAR, a web portal for information sharing on EMF and compliances which was launched by DoT for public, VKRoy, Director(C), Delhi LSA gave a real time view of features of the web portal and its utilities for knowing the compliance status of towers in any locality and way to raise request for measurement of EMF emission at any place. “Scientific evidences available in the public domain do not support any harmful EMF radiation from mobile towers. In fact, the radiations norms in India are well below the safe limits prescribed by the International Commission on Non-ionizing Radiation Protection (ICNIRP) and recommended by the World Health Organisation (WHO),” Roy said. Stressing upon the need of installation of required number of towers in various localities for best wireless connectivity and Quality of Service (QoS), Roy sought for a greater public support. “India follows much stricter norms than any other developed county. Moreover, the Government of India has frequently monitored the whole process to ensure that Telecommunications Service Providers strictly adhere to these prescribed norms,” Joshi added. The awareness programme emphasised that towers in the Noida are safe and TERM Cell is fully committed and geared to ensure compliance of guidelines designed for safeguarding citizens.